FERRIES FROM ITALY TO GREECE. TICKETS TO ITALY WITH MINOAN LINES, BLUE STAR FERRIES, ANEK LINES, SUPERFAST FERRIES, MARITIME WAY, AGOUDIMOS LINES, FRAGLINE FERRIES, VENTOURIS FERRIES. FROM PATRAS OR IGOUMENITSA TO BARI, BRINDISI, ANCONA, VENICE. FROM BARI, BRINDISI, ANCONA, VENICE TO PATRAS OR IGOUMENITSA. Mertikas Shipping & Travel Agency Website is created in order to fulfill the needs of our customers in Greece and abroad. Through our website you can order your tickets online or contact us. We always try to provide the best services. TICKETS TO ALL THE GREEK ISLANDS WITH GREEK FERRIES. ANEK LINES, MINOAN LINES, BLUE STAR FERRIES, NEL LINES, HELLAS FLYING DOLPHINS, G.A. 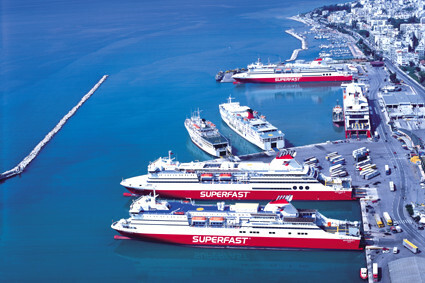 FERRIES, MARITIME WAY, AGOUDIMOS LINES, FRAGLINE FERRIES, VENTOURIS FERRIES, SUPERFAST FERRIES.